The Ink Trap: Ai Babies Blog Hop!!! Hey all! Welcome back! 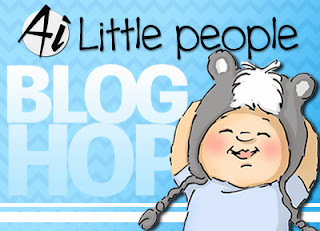 Thanks for joining our blog hop showcasing these fabulous new images by Art Impressions...Ai Little People! These cutie patooties are PERFECT for all the Cutie Patooties in your life! Be sure and start at the Art Impressions Blog, because you won't want to miss a single card. I'm at the end of the line this go round, so if you've followed the hop order then you have seen all of the wonderful cards created by the amazing Ai DT. As always, follow up with a visit to the Art Impressions Shop and check out all the cool images available. You'll every single one! What a fun image. Your coloring of it is wonderful. What a super cute card. Your coloring is absolutely fantastic. These new stamps are so sweet. How cute is she!!!! I love your coloring and pretty DP!! All I can say is WOW! Amazing job, Cheryl! I love your coloring and papers. This card is sheer perfection! So happy to have you on the AiDT!!! Wow!!!! This card is darling. I love how you color. Awesome! Stylish and vintage too!